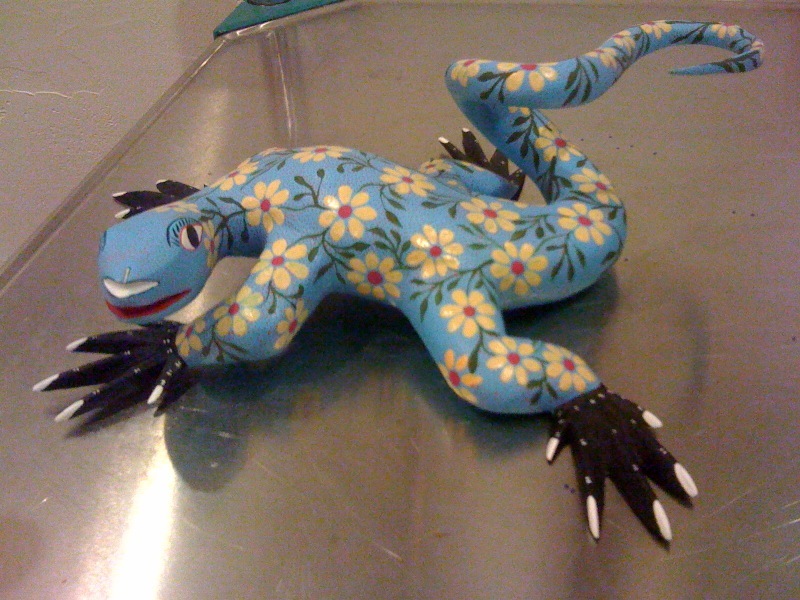 Blue Lizard by Arrazola carver Bertha Cruz is 10″long and 10″ wide at the claws. It is $135 plus shipping. 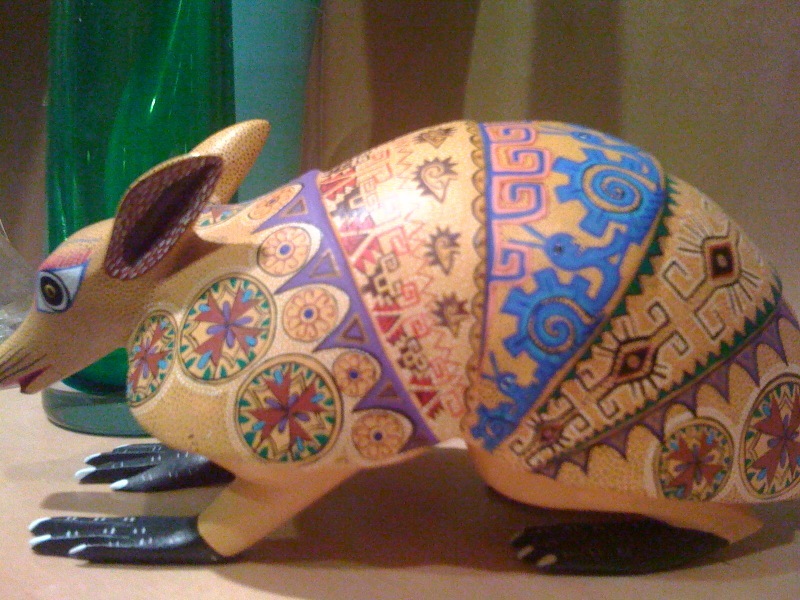 The Armadillo is also by Bertha Cruz. 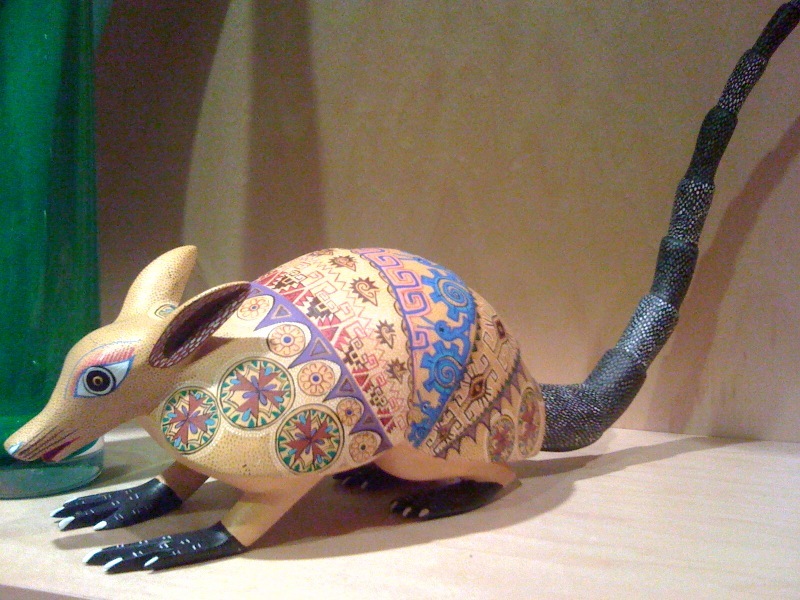 It is 8″ long, 4-1/2″ high and the tail is 12″ long. This is carved from one piece of copal wood. $240 plus shipping. Bear is by Jacobo Angeles, one of the most famous carvers from San Martin Tilcajete. It is painted with all natural dyes and has been in my personal collection. It is 9″ long and 5″ high. $240 plus shipping. SOLD Angel is by Alberto Jimenez Ojeda, another well-known carver from San Martin Tilcajete. 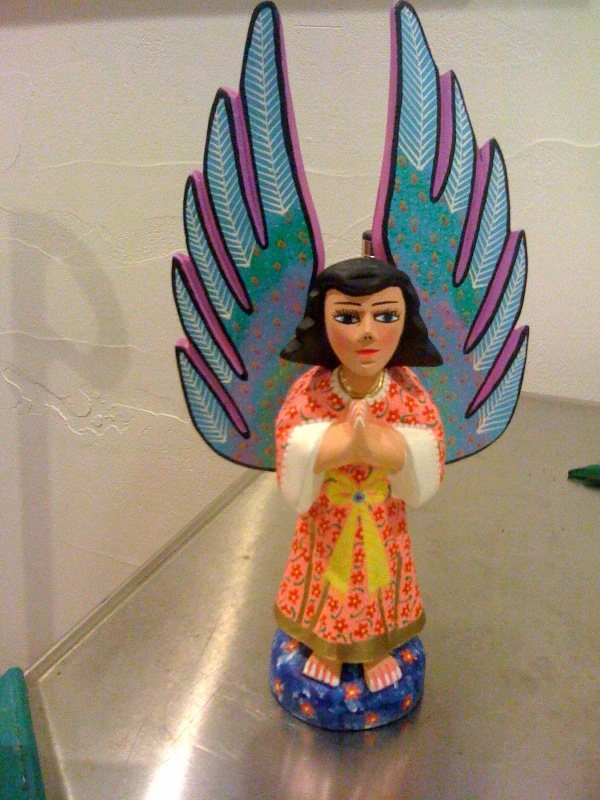 She is 10″ tall by 5-1/2″ wide. $135 plus shipping. 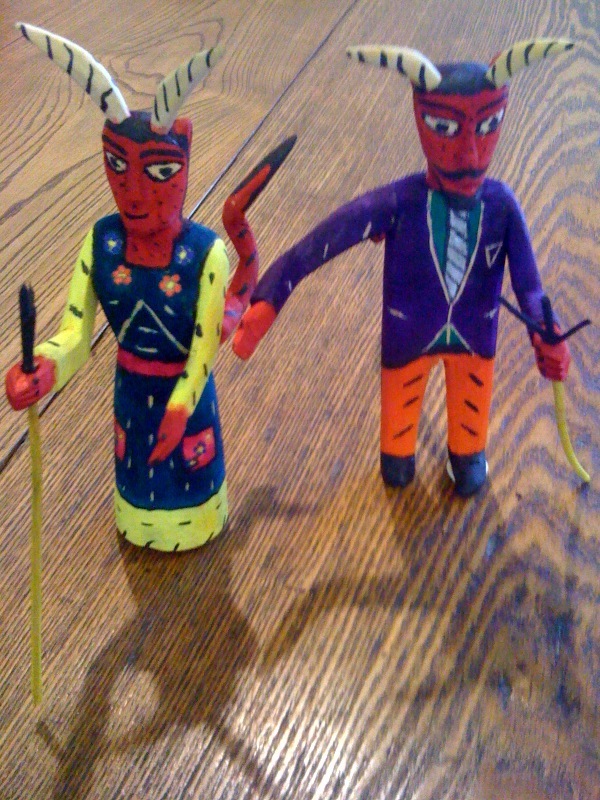 Husband and Wife Devils are Day of the Dead primitives carved and painted in the village of La Union. Unsigned, they are $90 for the pair, plus shipping. 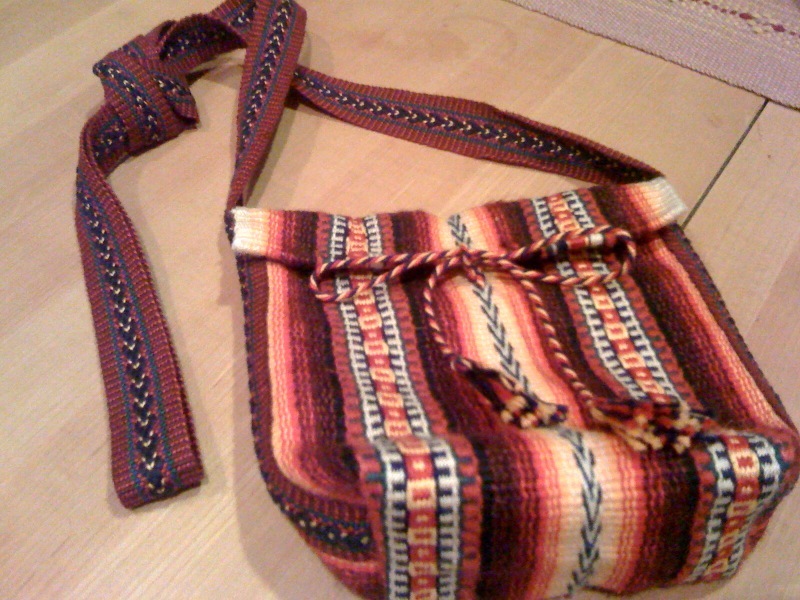 Handwoven wool and silk shoulder bag by Tito Mendoza, Teotitlan del Valle, 8″ square, $125, plus shipping. Please let me know which piece(s) you are interested in and where you live and I will quote you a shipping cost. To expedite, I will invoice by PayPal. 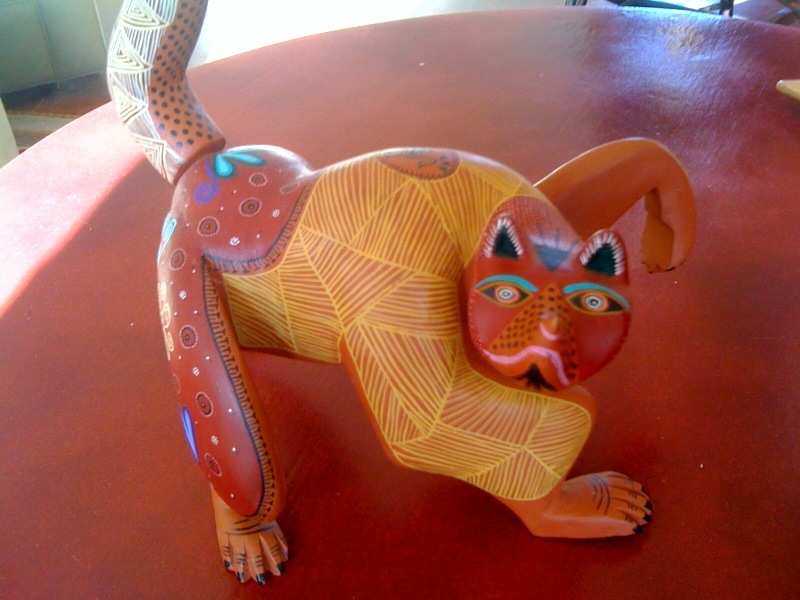 This entry was posted in Oaxaca Mexico art and culture and tagged Alberto Jimenez Ojeda, alebrijes for sale, Bertha Cruz, Jacobo Angeles, wood carvers of Oaxaca. Bookmark the permalink.